Your new favourite winter shirt! 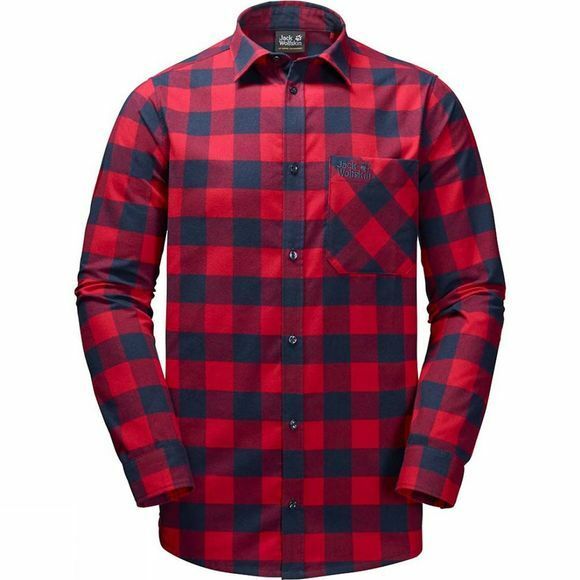 The Mens Red River Shirt from Jack Wolfskin is a trapper style shirt tailored from robust, functional flannel. The fabric is warm, feels soft on the skin and is very easy-care. It's really breathable, too, so the shirt is ideal for active outdoor use in winter. You can stash your GPS, smartphone or energy bar in the chest pocket.